Ever wondered what the everyday life and struggles of a new box owner look like? 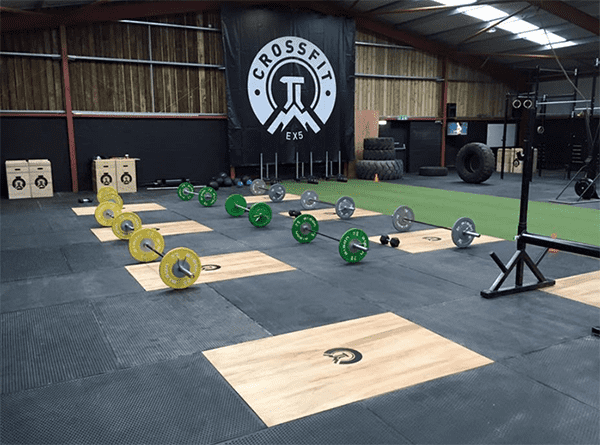 We spoke with Martin Uttley of Crossfit Pi to gain an insight into the perspective of the people who run our second homes. WHAT MAKES YOU GET UP EVERY MORNING AND RUN THE BOX? I genuinely love this stuff, being in such a positive environment day in, day out, surrounded by hard working, happy people…. what’s not to love? WHAT’S A TYPICAL DAY FOR YOU AT CROSSFIT PI? Wake up, eat some eggs, get to the box to open at 6:30am and either coach the morning sessions or join in with one. Early afternoon is usually admin time, until our 1pm lunchtime session, then afternoon training with the other coaches James and Jack. Evening sessions then commence at 5:30pm till 8:30pm and gym doors close at 9pm. WHAT HAS BEEN THE HARDEST CHALLENGE TO OVERCOME WHILST SETTING UP AND OPENING YOUR BOX? Finding time for a balanced life- girlfriend, friends and family and general social carry-on – took a back seat for a number of months… which certainly did not make me very popular! The amount and quality of my own training also dropped, but now I luckily have a great new place to step them back up. WHAT PIECE OF ADVICE WOULD YOU GIVE ANYONE ELSE LOOKING TO OPEN A BOX OF THEIR OWN? Brace yourself for a big workload and a lot of long, stressful days- but ultimately, when it gets tough, remember why you are doing it. Also, if you decide to get investors or go into partnership: make sure to choose carefully. They should definitely have similar aspirations and goals, and it should be clearly outlined what they want to invest into and take from the business. DO YOU HOST COMPETITIONS; IF SO, HOW DO YOU KEEP THEM UNIQUE AND EXCITING? Yes, we will be holding three main competitions per year, which form the Pi-Athlon series. Firstly, we’ll have a mixed team event called APOLLO, which is meant as a stepping stone event into competitive Crossfit. We then have ZEUS, designed to test more elite individuals, and APHRODITE, our women’s only competition. All our competitions are based at our 8000sqft box in throwing distance from the M5 and Exeter. HOW DO YOU CATER TO THE INDIVIDUAL NEEDS AND GOALS OF YOUR MEMBERS? We make sure we know all of our members individually. We have no formal reception desk and pride ourselves in knowing every single member by name. Programming is inclusive and each member receives the same stimulus as any other. Test and re-test weeks are implemented to measure progress and set individual goals. WHAT MAKES CROSSFIT PI UNIQUE? All of our coaches are degree level qualified in sports science. The coaches all participate fully in the class programming- if it’s not good enough for us, it’s not good enough for our members! We also have 8000sqft of awesomeness giving us so much room for activities! WHO WILL WIN THE CROSSFIT GAMES 2016? 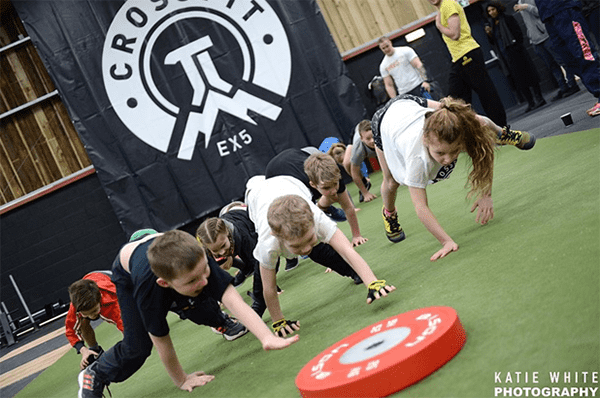 Being a newly opened box, our main aim is to continue building our membership base, and seeing our members grow and evolve in their training. On a more personal note, I’d love to get back on the competition floor. Always strive for consistency in your movements, work ethic and nutrition on a day to day basis. There’s no point in smashing yourself on one day, and then sitting on the sofa eating pizza for the next 2 days while you “recover”. Learn to listen to your body and use those rest days to work on accessory drills like mobility and mechanics. CAN YOU GIVE US 3 TIPS TO AVOID INJURIES IN CROSSFIT? Chase correct movement pattern first before adding load or intensity. Put back what you’ve taken out: the harder you train, and the more time you spend doing it, the longer you should commit to recharging through massage, stretching, sleeping, eating well etc. Have a required stimulus and outcome for each session and stick to it, you don’t always need to screw yourself into the ground. WHAT PIECE OF ADVICE WOULD YOU OFFER TO CROSSFIT BEGINNERS? Don’t try and run before you can walk. It’s all very well doing a ring muscle up to impress your mates, but not at the expense of your shoulder girdle’s future health! 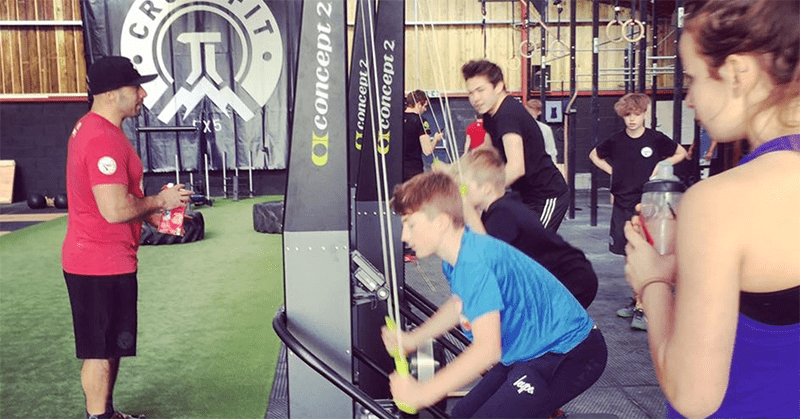 A strong foundation in strength and movement at the beginning will help form the basis for continuous progression down the line. If you are a Box Owner, and would like to feature your own Box and your members as an article on BOXROX, then sign up for our Box Owner newsletter here. You will also receive a free ebook ‘5 ways to separate your box from the competition’.